Posted by Richard Foote in Direct-Path Inserts, Non-Unique Indexes, Oracle Indexes, Performance Tuning. The OTN Database Forum has had some really good threads lately and something that came up was the question of indexes and Direct-Inserts which I thought might be worth a mention here. A Direct-Path Insert is a special mechanism used by Oracle to more quickly and efficiently insert data into a table. Rather than utilising the conventional method of using the table freelists or ASSM bitmaps to find an available free block that’s subsequently loaded into the buffer cache and processed, Oracle instead builds the necessary blocks in session memory and writes them directly to disk, “appending” them above the table High Water Mark (HWM) and hence by-passing the buffer cache entirely. When inserting a large amount of data, a Direct-Path Insert can hence be substantially faster and has the added flexibility of being a NOLOGGING operation if required. However, if you have a Primary Key (or Unique Key) policed via a Non-Unique index, then Oracle will automatically disable Direct-Path inserts behind the scene. This restriction has only been lifted since 11g. But have we actually performed any physical writes direct operations ? NO !! The number of such operations has not changed. Has the HWM been incremented ? NO !! The number of blocks has also remained the same. Clearly then, the Direct-Path Insert has not actually worked and Oracle has simply performed a conventional insert operation instead. And the number of physical writes direct has now increased. What about the HWM ? Yes indeed, Direct-Path Inserts are definitely now occurring now we have a Unique Index policing our PK constraint. Now, even though we have a Non-Unique index, the number of physical writes direct operations has indeed gone up by one. And indeed, the HWM has increased as well showing that indeed a Direct-Path Insert works as expected in 11g even if our PK constraint is policed by a Non-Unique Index. Yet another example of a difference between a Unique and a Non-Unique index which might be worth some consideration. Posted by Richard Foote in Oracle Opinion, Performance Tuning, Richard's Musings. 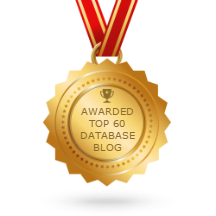 Last night, I answered a question on the Database OTN forum regarding Database Re-Org and Performance Tuning. I thought it might be worthwhile sharing my response here as it’s something I feel quite strongly about. 2) Determine what’s actually causing the problem as identified in Step 1. 3) Address the specific issue as identified in Step 2. It all sounds rather obvious but it’s amazing how many don’t follow these 3 basic steps and attempt to jump straight to Step 3. Unless you perform Step 1, you can’t accurately perform Step 2 which means you’ll only be guessing when performing Step 3. Like I said, the secret to performance tuning is not to guess. Posted by Richard Foote in Oracle General, Oracle Myths, Oracle Opinion, Performance Tuning. It’s slightly dated but has some useful general information on the subject of diagnosing performance issues and Extended SQL Tracing in Oracle that some may find useful, so I thought it might be worth posting it here. I stripped out most of the formatting so that the resultant file will be smaller to download. If you haven’t already, I would strongly recommend checking out the Optimizing Oracle Performance book by Cary Millsap with Jeff Holt, an excellent read. And Guess what. Using Extended SQL Tracing actually works ! !